The Mexican Government passed a new law, which comes into effect in Mexico starting September 14, 2010. I wanted to share the information, which I have received from our off offices in Mexico so everyone is aware. Starting September 14, 2010 the use of CASH American Dollars to make purchases in Mexico will not be as free as it has been in the past. Many repeat guests to Mexico who have become accustomed to using American Dollars CASH in Mexico as though they were effectively in the United States will notice the difference. Other payment methods such as Credit Cards of all types and all issuing banks, Travelers Check’s, Mexican Pesos and non American Dollars foreign currencies in cash (ex Euros or Canadian Dollars) are not affected in any way by this new law. 2. Businesses (including Amstar DMC in Mexico) will only be able to accept a maximum of $100 USD CASH per transaction - but the number of transactions per customer is not restricted. If a customer wants to purchase an excursion (for example) that costs $139 US dollars per person, he/she will only be able to pay $100 USD of this amount in USD CASH and the remainder will need to be in another form of payment (credit card, Mexican Pesos cash, etc). Vacationers should never carry large amounts of American Dollars cash with them to Mexico, but instead they should consider either using a Credit Card, taking Mexican Pesos cash, taking Travelers Check’s (of any currency) or withdrawing money locally in Mexican Pesos. Thanks to Apple Vacations for sharing. Join A Way To Go Travel on an awesome adventure to The Resort at Paws Up! We are going "Glamping: June 16-20, 2011 at resort at Paws Up. Watching the video will give an illustration of what "glamping" is. Butlered Tents along the river in the big sky of Montana. A luxuriously furnished oversized tent ideal for families or couples looking to spread out. These "suites" are appointed with 1 king AND 2 twin size beds, hardwood floors, artwork on walls, electricity, each tent has it's own private master bathroom in nearby Bathhouse, decks with fabulous views of the river, a "camping butler" at your disposal at the River Camp Dining Pavilion. This will be an amazing adventure and space is limited so please contact Chuck Joyce at 336-855-0060 or by email at cjoyce@awaytogotravel.com to reserve this once in a lifetime trip today! Thank you again for helping Ryan with this. I really enjoyed the trip and feel so blessed and lucky to have such an amazing, generous man in my life. Hopefully we will plan another trip next year to a new tropical local and we will definitely call you for your expertise (and hopefully I will get to meet you as well)! Thank you thank you thank you....if anyone is considering going there just tell them to talk to me!! I have passed your name along and the resort name to EVERYONE! Don't disconnect your printer just yet. While some tech-savvy passengers may be ready for it, experts say paperless boarding won't be successful until it is both reliable and universal. A Way To Go Travel has been designated by Disney Destinations as an "Authorized Disney Vacation Planner" based on our strong support in selling Disney vacations. We received the designation because of strong knowledge on vacations to the Disneyland Resort, Walt Disney World Resort, Disney Cruise Line and Adventures by Disney. Several agents at A Way To Go Travel have received extensive training on Disney Destinations theme parks, resorts, cruises, vacation packages and more, and can provide the utmost in professional assistance in planning customize Disney vacations. Call A Way To Go Travel if you are thinking Disney for your next family vacation. 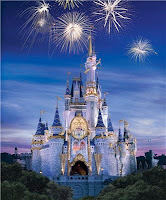 Shane Lawrence or Shelly Alker are the Disney Vacation Planners to help you plan your vacation memories.